DC Bartender Flips Off And Curses At Stephen Miller - Joe.My.God. 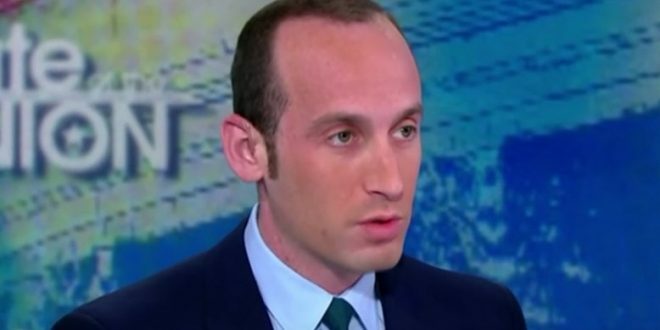 After Miller ordered $80 of takeout sushi from a restaurant near his apartment, a bartender followed him into the street and shouted, “Stephen!” When Miller turned around, the bartender raised both middle fingers and cursed at him, according to an account Miller has shared with White House colleagues. Outraged, Miller threw the sushi away, he later told his colleagues. Most of the interactions that Trump’s well-known aides have with strangers amount to nothing more than posing for selfies. But his advisers have also found themselves subjected to a string of embarrassing public spankings, a litany that began even before he took office.